Member of the Register of Professional Turners. Maker of handcrafted wooden bowls, platters and hollow forms from locally sourced native timber on the Isle of Wight. Provider of beginner and intermediate woodturning courses. Retailer of tools, equipment, finishing products and timber. Bespoke services. Small-run production turning. 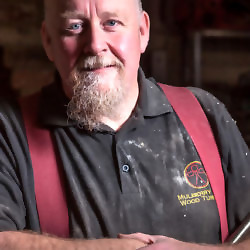 Wood-turning; Hollow forms; large wooden platters and bowls; Beginners Courses; Timber Supplies; Finishing Product Supplies; Tools and Equipment.